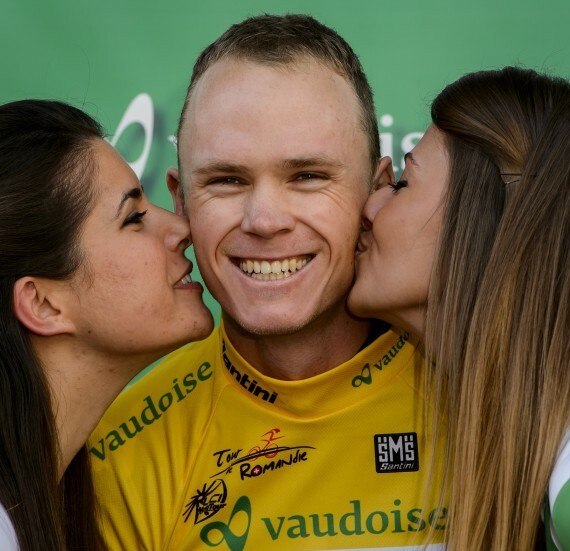 You might feel like this if you win the Fantasy Tour de France in the DTTalk ProCycling League. It’s that time of year again. 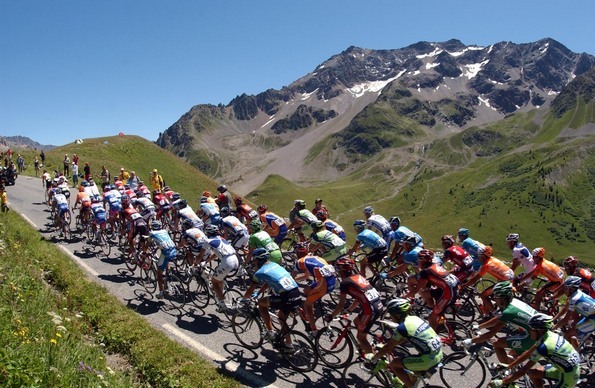 Le Tour de France starts in less than 2 weeks – Saturday 5th July. Given DTTalk’s manifesto of taking over the fantasy world one game at a time we have fantasy cycling for Le Tour de France. The prelude was run earlier this year at Tour Down Under which went well and we all learned a lot. I’ve been playing fantasy cycling all year with various squads operating around the world in the spring classics, Giro d’Italia and various countries’ stage races. I’ve even got a fantasy women’s cycling team. It’s been a lot of fun – most races are livestreamed and cycling commentary is pretty good on social media. I’ve watched more cycling than AFL games since the season started. SBS broadcast all the Giro d’Italia and they will broadcast all the Tour de France stage finishes live as well. So you will be able to fist pump or swear at your riders live on the TV depending on how they are going. The game I play is with road.cc in the UK. We have our own league – DTTalk ProCycling – code no. 77336. This has been in hibernation since TDU, but people can join or restart just for Le Tour as all the competitions are only for that particular race. Also be aware this is a different fantasy competition to the one SBS is promoting. You will have to create an account with road.cc in order to log on and play. You can enter a team but the start list of riders is not finalised yet. Save your team with the green button; we can keep changing the team around and re-saving until the first stage starts. You pick a squad of 9 riders, with a budget of 160 credits. As with any fantasy game you can’t afford all the top riders and have to choose some and then get some cheaper riders as well. You can only pick a max of 2 riders from any one cycling team. Rider prices are fixed for the duration of the TDF, so no need to worry about price changes. Two trades per day, including rest days. Unused trades are saved and can be used on later days. We will look at scoring in more detail a little later. But there are a lot more points available for riding performance in each stage as compared to being the current leader of the GC and wearing the yellow jersey. Because scoring is mostly stage based, you need to use your trades to adapt your squad for each day’s terrain – for example do you need sprinters or hill climbers for that day? As a rule of thumb we should be aiming to score about 160+ points per stage with our 160 credits. So you want each of your riders to have opportunity of getting their own value in points every day. If you can’t see them getting their required average points every day you probably should be trading them out. You can buy extra trades for 10 points per trade. This is tempting particularly when there is a big change in terrain from one day to the next. However, it can bite you badly if you buy trades and the riders you bring in don’t score any points. Lockout will be about 6pm or 7pm AEST every day. So it takes a bit of commitment to check your team and put your trades in every day. I forget occasionally, but the bonus is you get 4 trades the next day to try and make amends. The Tour has 21 stages and goes for over 3 weeks but it includes a couple of rest days. It is free to play and enter. You can pay an extra 10 pounds for premium membership. This gets you a bit more information about the riders and you can enter more races. I joined premium as I am playing a lot and getting the extra information faster makes it quicker to do my 2 or more trades every day. You can play well without premium membership. 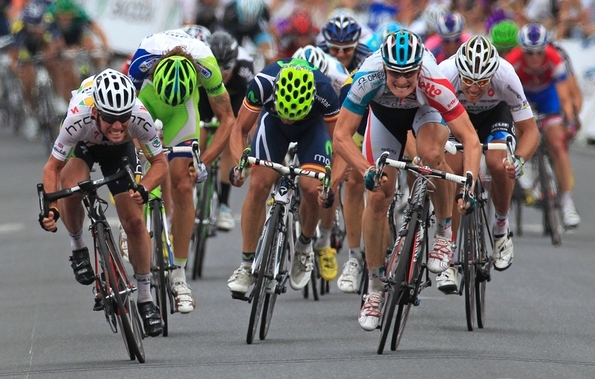 Pro Cycling has been described as chess on wheels racing along at over 40 km/hr. 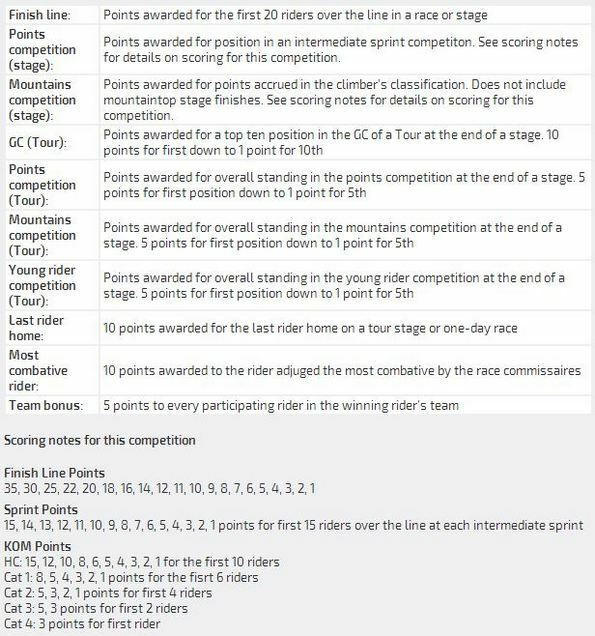 The table below shows an example of all the different ways your riders can earn points in each stage. The most importing thing to understand is that the current GC leader will only get 10 points each stage for being the leader. There will be a lot of media attention on the yellow jersey wearer, but that isn’t what we fantasy players are interested in. You will see from the table above that the last placed rider gets the same 10 points as the yellow jersey wearer, as does the most attacking rider. The first rider over a highest classification (HC) mountain gets 15 points, as does the first rider past an intermediate sprint point. The biggest points go to the riders who finish in the lead each stage – the winner gets 35 points and the next 19 riders also get points. So the key to doing well in this game is to understand how each stage will play out and which teams and riders will try and do various things and when they will try to be in the lead. This is quite difficult particularly if you don’t know that much about pro-cycling. However there are good sources of information. Pro cycling stats site has stats on all the riders and previous races. A few sites will provide daily previews and predictions for each stage that you can read before you adjust your team. http://www.cyclingbetting.co.uk/ – This last one is a betting advice site, but his previews are pretty good. The downside is that for some races he locks up the previews for subscribers only. I suspect he will lock up his TDF previews, but I’ll put him here in case he doesn’t. You can also follow these people on twitter, you will find their twitter names on their sites. I also find it helpful to not think about more than the next 2 or 3 stages, during which you will have 6 trades – so you can change your team of 9 quite a lot. Then just continue to adapt your team as the race progresses. There are prizes for the entire fantasy TDF as well as for every stage. See details in the link below. So if you go well you can win yourself a brand new bike. The highest I have come in any stage race this year is 28th, it isn’t easy. There are also prizes for the highest points in the stage every day. Fixes: The game website at road.cc was down for most of Wednesday. It is working again now. Also I didn’t set up the links in this article properly initially but they are fixed now. SBS TV is also hosting a fantasy cycling game. I will try to provide some comments on that game as well, and players who are playing that game can discuss it in the comments section of these DTTalk articles. I will also enter a team in the SBS game so I will see how it goes. However, my priority will be the road.cc game as I think it is a better game for me. Some aspects of the games are similar. However there are also some significant differences. Road.cc run fantasy cycling games on many races throughout the year. The TDF is a one off for SBS TV. There are limited trades in the SBS TV game approx only 1 per stage. In my view this isn’t really enough as we have to cope with crashes, riders withdrawing or being eliminated, changing terrain and changing focus within the team. SBS game has some added things such as a selectable powerplay stage and some stages being worth more than others but I think these add complexity without improving gameplay. Also they don’t seem to list anywhere which stages are worth more. SBS ignores any of the intermediate activity such as KOMs and Intermediate Sprints, except to give fantasy points for the current leader in each jersey competition. I think the way road.cc game treats these and the jersey leaders is more consistent with the actual TDF experience for the riders and teams and their motivation. The riders care about the intermediate competitions and they care about ranking in each of the jersey competitions, not just the current leader. The SBS TV game doesn’t provide a forum for players to interact. That is my view anyway. Any other players are welcome to put any contrary view in the comments section below. At DTTalk we writers try to make your fantasy sports experience as immersive and realistic as possible. So I’ve decided to create something more than sitting on the couch in your snuggie, drinking red wine and eating tim tams, while yelling at your riders as they exhaust themselves riding up a mountain on the other side of the world. Pro-cycling is a mix of tactical strategy and physical endurance. Therefore I give you CCA – Combined Cycling Arts. This is a revolutionary, world-first concept, exclusive to DTTalk ProCycling League. Riders in our league can go beyond the normal fantasy cycling competition. You have the option to also enter the DTTalk Ultimate Cycling Challenge (DTTUCC). The DTTalk Ultimate Cycling Challenge will run for the duration of the Tour de France. The challenge will combine your fantasy points with the number of kilometres you ride on your bike during that period. That’s right: fantasy points + personal kilometres ridden = mind.blown. If you are not familiar with strava – it is free to join and you can download the free app to most modern mobile phones and computers. You take your mobile on your ride; turn the strava app on when you start your ride. The app will automatically record your ride speed, distance and elevation, and map your route as well. This happens via GPS; it doesn’t require a continuous live phone or internet connection. When you finish your ride you upload the details to the strava database when you next connect to the internet. Your ride will then be listed with the rest of the rides in the group. I will add the fantasy points and kilometres ridden together, and publish the results. That’s it for now. There will be more information about the DTTalk Ultimate Cycling Challenge in the next article. I expect to write the next article over the weekend with some team and rider advice. It you have any questions or comments post below or hit me up on @NixTrader. Follow me to keep up with the latest fantasy cycling info. Also forward this to any cycling mates you have, the more we have in our league the better it will be. I’ll leave you with this video from Youtube. It was taken last week in the Tour de Suisse. This is what it is like in the last 2km of a pro-bike race. On-bike cameras have been banned in races, but they are doing some trials to see if they want to un-ban the cameras. Remember that the riders are all moving along at 45-50km/hour and the cameras used are wide angle so all the distances are closer than they appear. The main focus is John Degenkolb a sprinter with Giant Shimano team. His team mates are in a line in front of him trying to take him up to the front of the bunch to contest the sprint at the end. He is yelling to his team to let them know he is still there and to keep moving forward. Degenkolb is in black and white with a bandage on his left elbow so you can usually pick him from other riders. Giant Shimano actually get to the lead in the race. At about the 2 minute mark the rider with the camera under his seat was the leader of the race. Degenkolb got caught up with other riders and is about 5th on that corner. He finishes third in the stage. Cant wait for Le Tour should be loads of fun. Expecting some tough competition this time around but I aint gunna hand my title over without a fight so BRING IT ON! Actually our league has been going since TDU. Any of the original players’ come up in the league if they put in a team for any of the later races. It’s been pretty good. In retrospect should have done Spring Classics comp with DTTalk articles. It would have fitted in well because there was a few days between each race plus SBS televised races for first time. I played Giro but was too busy to write anything. So decided to save efforts for TDF. If anyone is haveing trouble getting on to road.cc for the game, they seem to have problems today. I expect they will have it sorted soon. Is there be a rider/price update to come before the grand depart? There is at least one rider under my consideration who isnt listed but has been named in his team.